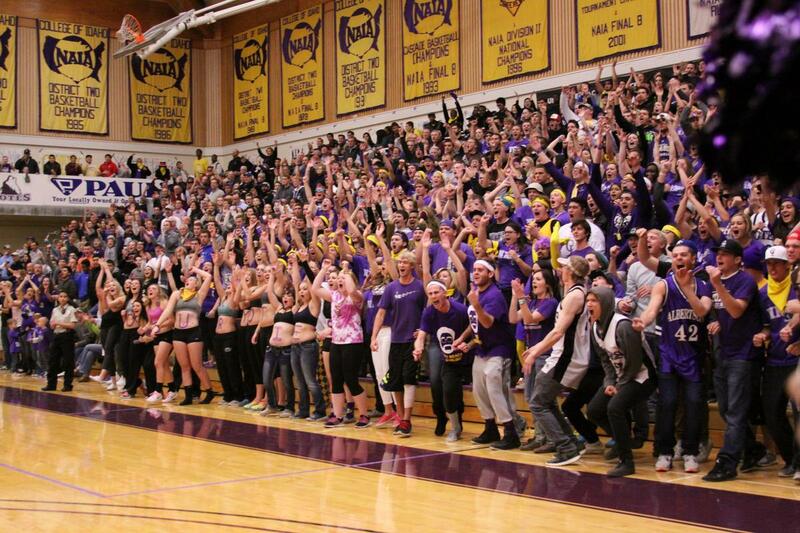 College of Idaho Basketball "Idaho Appreciation Night"
A new annual tradition that we will be hosting through our men’s basketball program here at the College of Idaho. With 12 of our 18 players coming from the state of Idaho, we wanted to take an evening to celebrate them, our college and the entire state. 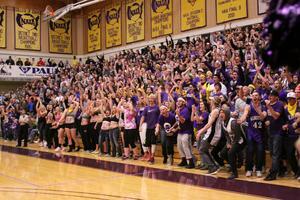 We will be hosting our “Idaho Appreciation Night” on Saturday, November 17th. 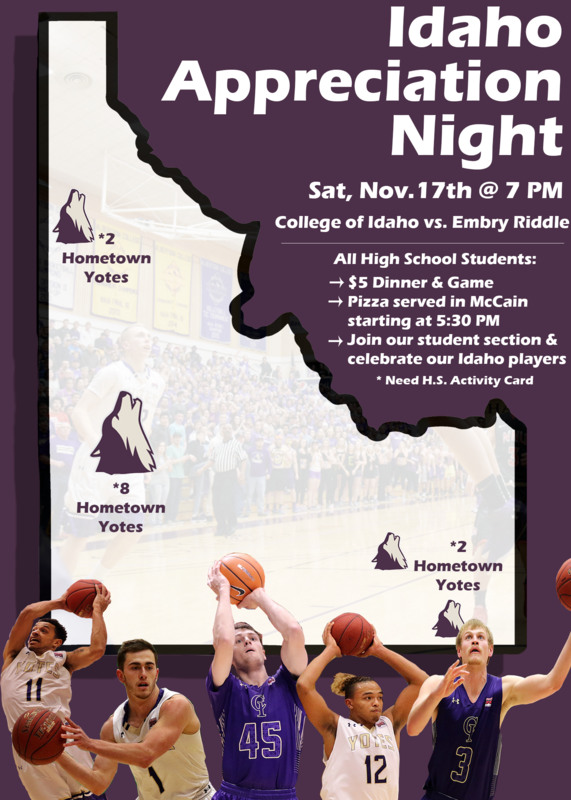 We are inviting ALL high school students from the entire state of IDAHO to join us for a pizza buffet dinner and stand with our student section to cheer on our men’s basketball team as they take on Embry Riddle University. We are encouraging all high school students to save a spot for dinner and the game. We will be maxed out at 400 participants so have them sign up at the link to reserve a spot: https://apply.collegeofidaho.edu/register/idahoappreciation. Those who sign up will receive entry to the pizza buffet, as well as, a game ticket. They will need to produce their high school activity card and provide either $5 at the door or use a voucher that you can purchase ahead of time. Students are welcome to attend just the game if they choose for the same price of $5 for a game ticket (need high school activity card).